Brevard County Parks and Recreation is offering Pickleball on Monday and Wednesday mornings from 9 a.m. to noon at the Ted Whitlock Community Center inside the Palm Bay Regional Park. 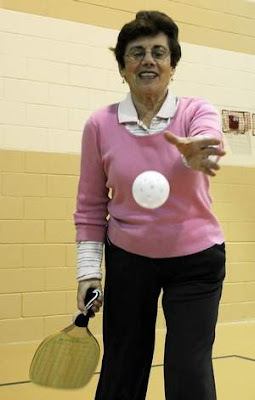 Pickleball is a game that combines elements of badminton, tennis and table tennis. The game is easy for beginners to learn but can develop into a quick, fast-paced, competitive game for experienced players. Players use wooden paddles and a plastic ball on a court that is smaller than a tennis court. Paddles and balls are provided. The cost is $2 per person. For more information, call the Ted Whitlock Community Center at 321-952-3231.